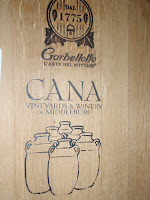 People ask us why we chose the name Cana (“Cay-nuh”) for our winery. In Cana of Galilee, at a wedding feast, Jesus performed the first of His many miracles: He turned water into wine! In the course of the feast, the wine was depleted. If this situation were disclosed, the groom would be shamed. But Jesus showed compassion. 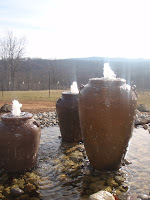 At His command, six stone jars were filled with water. A little was drawn out and taken to the master of the banquet. When he had tasted the wine, the banquet master pulled the groom aside and praised him for going against tradition by saving the very best wine for last. 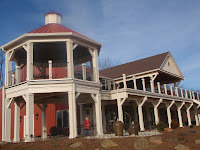 Cana Vineyards also incorporates the Wedding story throughout their operation. Their logo consists of six stone jars and the winery grounds are populated by actual jars and even fountains. And they turn grape juice into wine. 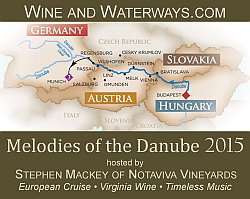 Their first decision was to hire wine consultant Alan Kinne (Chrysalis Vineyards) to be their executive winemaker and to source fruit from Loudoun County while their estate vineyard matures. 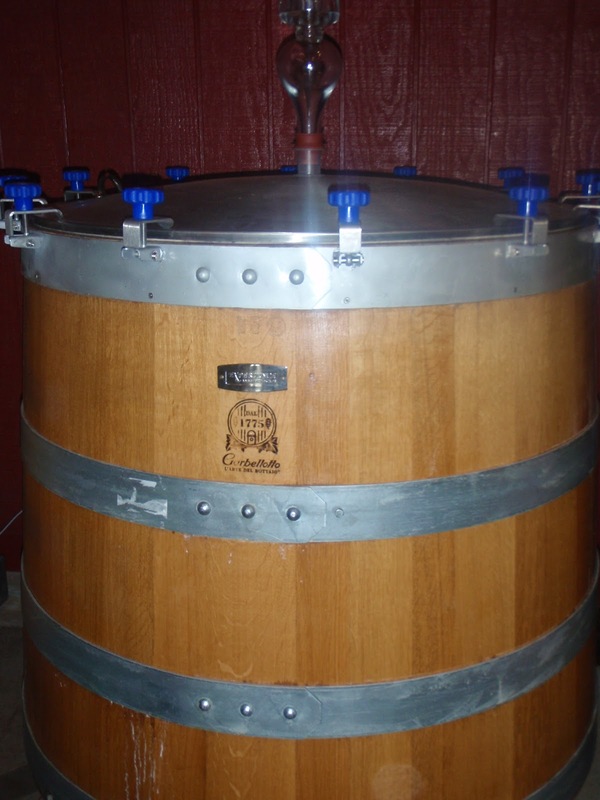 Another decision that caught our fancy was their use of Garbellotto and TW Boswell fermenting tanks for red wines. 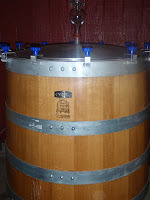 Fermenting Chardonnay in barrels is a common technique, but for the past 40-50 years red wines have been fermented in concrete or stainless steel before being aged in barrel. 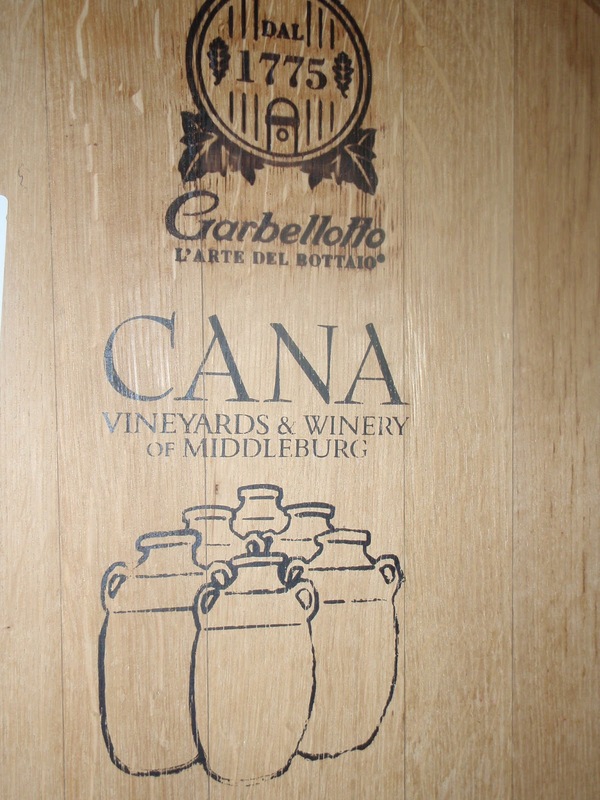 But Cana Vineyards has shown that old practices are new because they utilize these fermenting tanks for the Petit Verdot used in their Le Mariage ($34) blend. You would think that the extra oak treatment would produce more tannic content, but in reality, the opposite occurs, the tannins become smoother and more mellow. 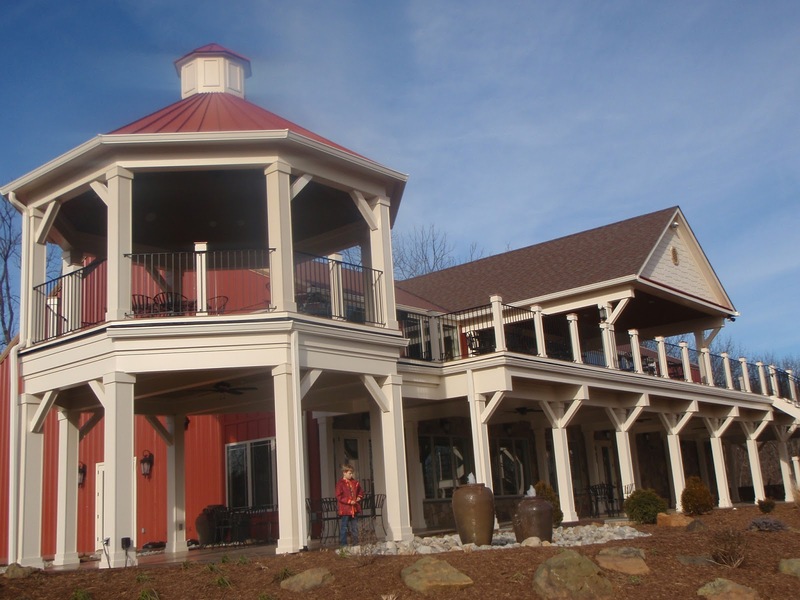 The other wines in their portfolio are pretty standard fare for Virginia wineries. There is a rather tasty Apple wine, a Viognier, Traminette (sourced from the Shenandoah Valley), Riesling, Rosé, and my favorite, their Cabernet Franc. This is an earthy wine, a little green pepper and a little tobacco, which is balanced with red cherry flavors. Nicely done. The tasting room is spacious - particularly the loft, with live music on weekends streaming inside and out. With a view of the Bull Run mountains to the south, this is a nice destination to hang for the day. Check out their live music schedule to choose a day.